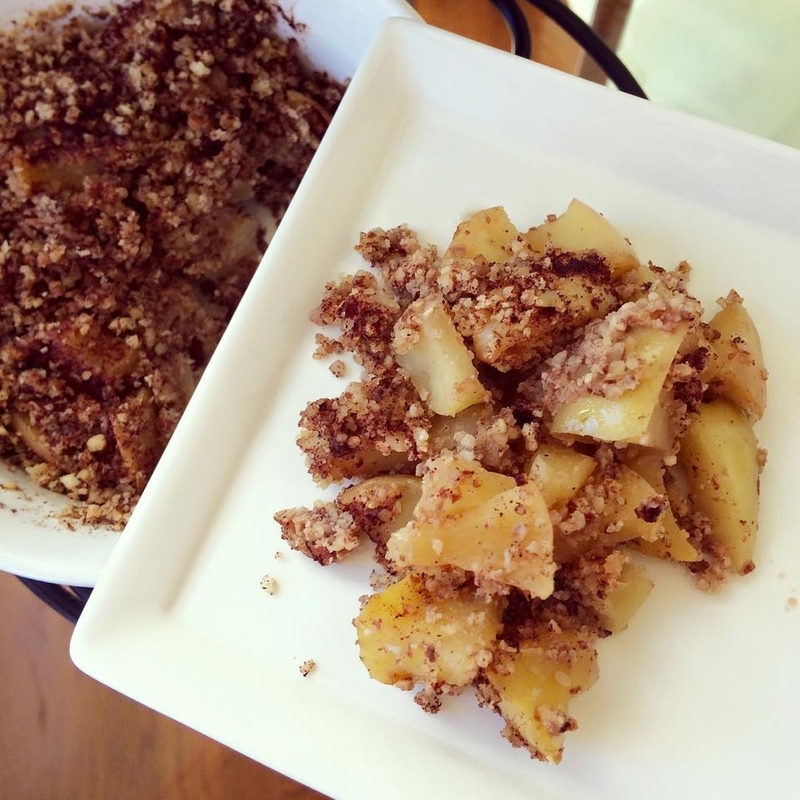 Coming to you today with super easy version of apple crumble. Its #lowcarb #paleo #sugarfree All you do is grind together any nuts you like. I used the mix of raw almonds, pecans and walnuts. Spray the bottom of the dish with coconut oil and put a few layers on diced sweet apples. Sprinkle with about 1/2 cup of ground up nuts ( or as much as you like) and cinnamon. Cover the dish with foil and bake at 380F for 30 min. I love apples slightly crunchy but if you love them mushy then bake for 45 min. I didn't add any sweetener while I baked but drizzled with honey before I ate.